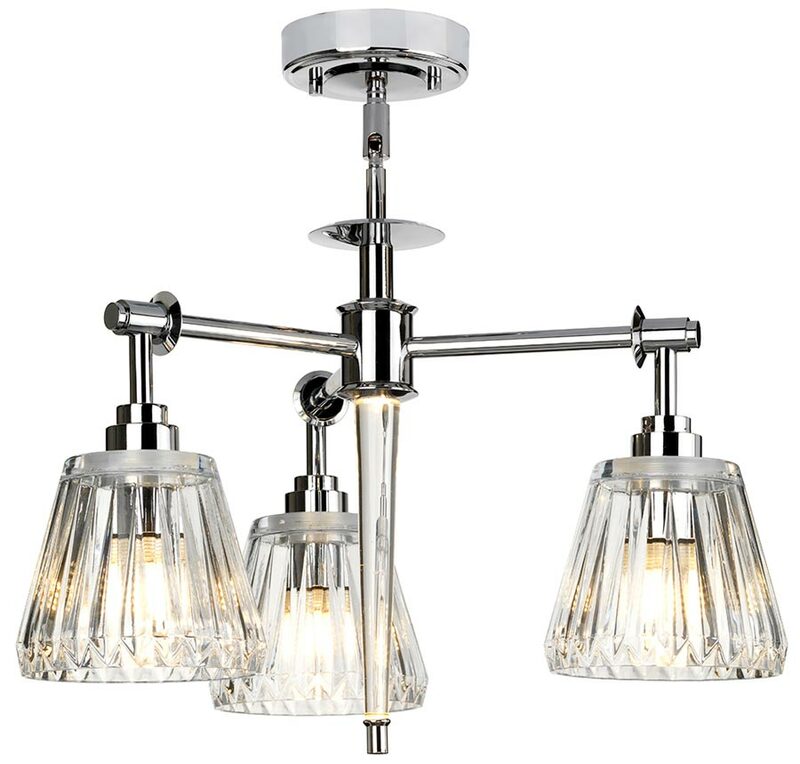 This Elstead Agatha 3 light bathroom chandelier in polished chrome with cut-glass shades is rated IP44, inspired by the Olympic torch and features contemporary style. 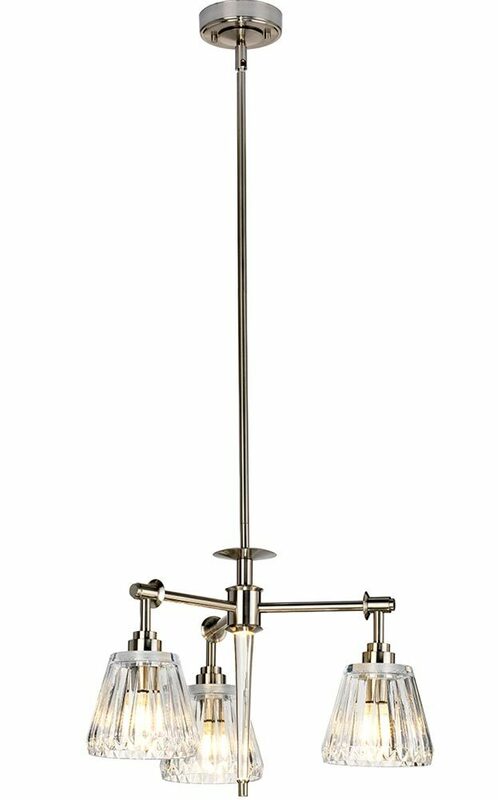 Constructed from steel, with circular ceiling mount, height adjustable rod suspension and three angular arms. Each arm features a downward facing tapered cut glass shade containing an energy efficient LED lamp bulb and central illuminated acrylic rod. Rated IP44 and suitable for zones 1 and 2. Specifically designed for use in bathrooms but can be used anywhere inside your home except wet rooms. There are matching fittings available in the polished chrome Agatha bathroom lighting range; please see below. Also available finished in brushed nickel. This bathroom light is supplied by Elstead Lighting, a British company that specialises in the manufacture and distribution of quality decorative lighting such as the Agatha 3 light bathroom chandelier in polished chrome with cut-glass shades and rated IP44 you see here.